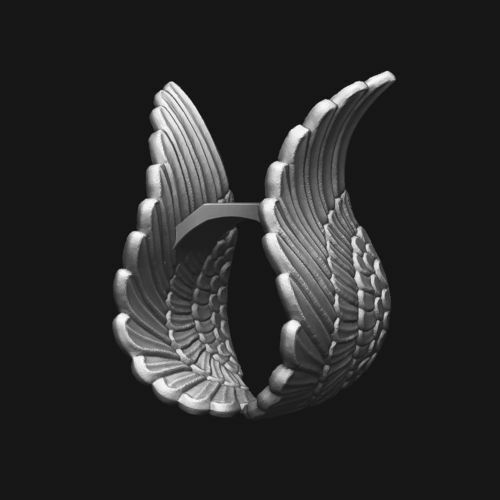 Ring - wings. Default Scale: 26.8 x 18.4 x 33 millimeters. Print photos: printed with QIDI X-One2 at 1.5x default scale. Default inner diameter: 17 millimeters.